I’m so excited to share these reviews with you. Like I wrote on Monday, I’ve been unusually drawn to nonfiction books lately, and this month’s batch was a good one, with at least two books that will likely make it onto my list of favorite reads in 2017! 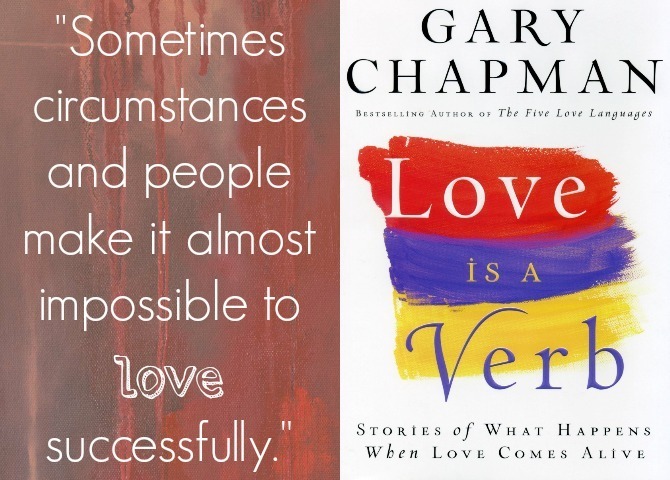 Love is a Verb: Stories of What Happens When Love Comes Alive, by Gary Chapman: As I shared in last month’s Lately post, I picked up this book to fuel me in my mission towards becoming more loving in 2017. I was intrigued by the book’s awesome title and had very high expectations, especially since I have enjoyed Gary Chapman’s other books and always love when he’s a guest on Focus on the Family’s daily radio show. When I bought it, I didn’t realize that Love is a Verb is actually a compilation of stories written by contributing authors. These stories, written by everyday people, recount ways in which the authors have extended love in unusual and meaningful ways. From the wife who complies with her husband’s demanding dishwasher-loading protocol as an outpouring of love, to the teacher who devoted her career to special needs students, and everything in between . . . these individuals recognized that love is more than a feeling or an easy gesture, and they sacrificed their time, resources, and comforts to demonstrate radical love. I found these stories encouraging, inspiring, and at times convicting. My hope in reading this book was that I would be given ideas for how to practically love those around me, and this book provided examples by the bucketful. I also gleaned a lot of wisdom from the lesson recaps that Dr. Chapman includes at the end of each story. While I like the concept of this book, and did learn from it, I will admit that I wasn’t impressed with the quality of writing; despite their inspirational value, many stories felt trite and a little too whitewashed. I enjoy a feel-good story as much as the next guy, but the stories here contained a few too many pretty bows and not quite enough grit to make them fully believable. It’s hard to strike a balance between encouraging and authentic, and this book lands too far on the sugarcoated side for my taste. (Love Does is a similar book that does a much better job with this, as does Falling Free, which I review below.) Still, I’m glad that I read this and am certainly feeling encouraged in my quest to be more loving, this year and beyond. Women Are Scary: The Totally Awkward Adventure of Finding Mom Friends, by Melanie Dale: The title of this book jumped out at me because it’s a phrase I’ve often found myself saying over the years. Women can be scary, and female relationships are challenging. Never have I felt this more than in the past year, when our move forced me to start fresh with all of my friendships. I’ve formed some wonderful relationships in recent months, but I’m still not great at friendships (#introvertproblems) and will take all the help I can get, especially if it comes in the form of a hilarious book. After just a few pages of this book, I knew that if I met Melanie Dale in real life, we would be friends. Her writing is quirky and laugh-out-loud funny, filled with both Scripture and weird cultural references, and from her stories it sounds like she suffers from similar insecurities combined with an awkward tendency to get too deep, too soon with her female friends. I loved her baseball metaphor for going around the bases to form home-run “momlationships” (First Base = Meeting at Kids Activities, Second Base = Park Playdate, Third Base = House Play date, Fourth Base = Hanging Out without Kids). And I found her (often irreverant) advice pertinent and attainable. One downside to reading this book is that is has me overthinking friendships. (As if I needed any help with that!) Since I’ve always erred on the side of simply not forming ANY close relationships, I haven’t had to experience a lot of the heartbreak and drama that they can entail. Some of the stories from this book have me a little scared to go deep with a lot of my new mom friends. However, Melanie’s stories and advice reminded me that forming relationships with other moms is hard, but it’s also totally worth it. I’m glad to be on this adventure of fostering friendships, and I’m thankful for authors like this one who are willing to offer some help along the way. 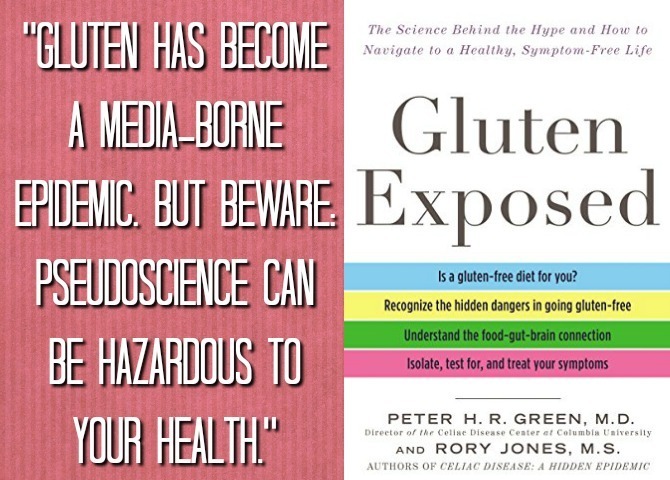 Gluten Exposed: The Science Behind the Hype and How to Navigate to a Healthy, Symptom-Free Life, by Peter H.R. Green and Rory Jones: I don’t think I’d ever heard of gluten until my freshman year in college when my room mate was diagnosed with Celiac. That year I learned a lot about the condition; little did I know that ten years later, I would receive a Celiac diagnosis as well. A lot happened in the diet and nutrition worlds during those ten years, and by the time I learned about my own need to avoid gluten, it seems like half of America was choosing to go gluten free. There are legitimate reasons to restrict gluten, but there’s also a lot of misinformation regarding gluten sensitivities. In Gluten Exposed, the authors (a medical writer and a doctor whose expertise is in Celiac disease) separate fact from fiction, revealing the science behind the gluten-free craze and helping readers determine whether a gluten-free diet is truly necessary for them. The book thoroughly explains the digestive system, the gut/brain connection, numerous gastro-intestinal conditions, and gluten’s relationship to each of these. I appreciated this book for its emphasis on scientific research rather than anecdotes and unsubstantiated medical claims. The writing is pretty dry, but the content is thorough and the science appears sound. 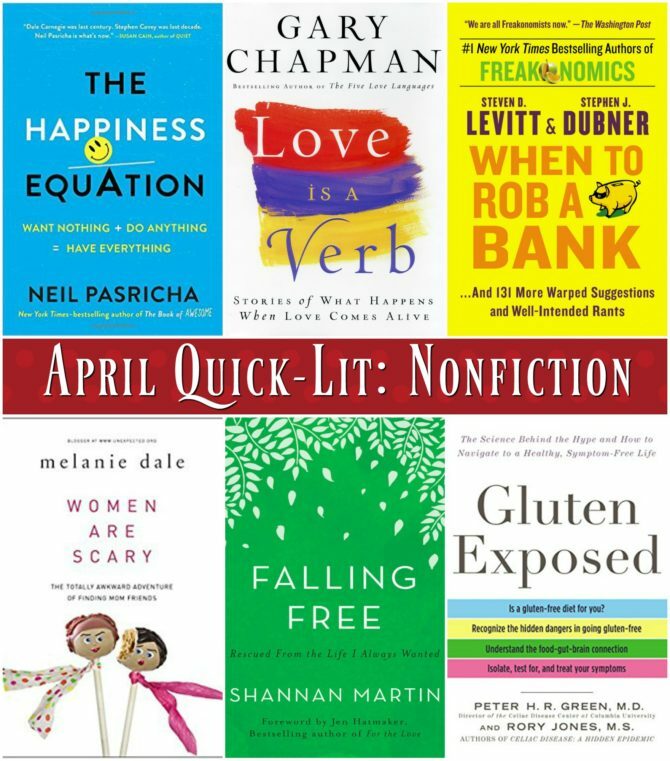 Unlike Wheat Belly and other sensationalize books, Gluten Exposed does not demonize gluten or claim that gluten-free living is a cure-all for every individual. The authors do explain why it is important for those with Celiac to avoid gluten, but they also outline the potential hazards of a gluten-free diet and emphasize that unnecessarily restricting gluten can do much more harm than good. Since being diagnosed with Celiac and going gluten-free myself, I’ve read quite a bit about my condition, but I still learned a lot of new information in this book. 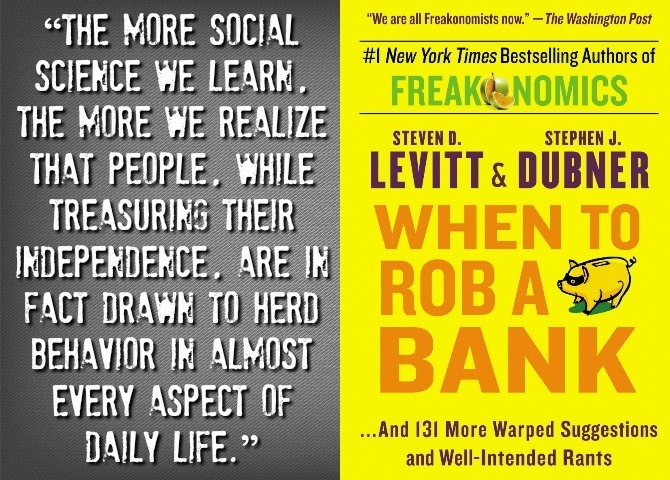 When to Rob a Bank: …And 131 More Warped Suggestions and Well-Intended Rants, by Steven D. Levitt and Stephen J. Dubner: Like the podcast and other Freakonomics books, this one—comprising more than 100 of the blog’s most popular posts—applies the concepts of economics to everyday topics, often with surprising results. The essays are not quite as polished as the other Freakonoics works and present more questions than answers, but they definitely provide a lot to think about. I found the essays about what is and isn’t good for the planet to be especially intriguing and totally counter-intuitive. The Freakonomics authors have a fun take on the world and I enjoy their sense of humor. If you haven’t read any other Freakonomics books, I wouldn’t start here, but if you’re already a fan this will be an engaging read. 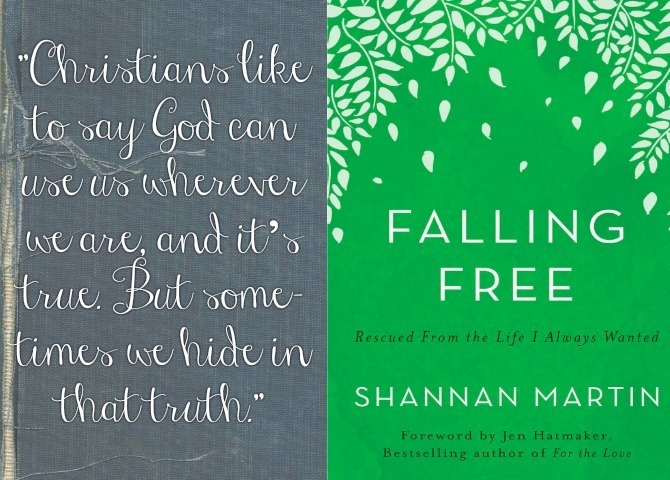 Falling Free: Rescued from the Life I Always Wanted, by Shannan Martin: Let’s just get this part out of the way: this book is amazing. And it will wreck you. Shannan Martin and her husband, Corey, had an idyllic life: successful, high-paying jobs; a cute farmhouse in the country; three great kids; a Dave Ramsey-approved budget and savings plan. They were living out their Christian faith in the way they thought was best, and they felt God was blessing them for the efforts. And then He got a hold of their hearts. Prompted by circumstance and conviction, the Martins abandoned their comfortable world for a house in a sketchy neighborhood, a job as a prison chaplain, and a life wholeheartedly committed to serving the Lord by living among people who could not possibly have looked less like their stereotypical middle-class, Jesus-loving family. They enrolled their kids in the poorly rated school down the street, began shopping and worshiping locally, and even adopted a juvenile delinquent freshly released from jail. Amazingly, in stepping out of their comfort zone, the Martins discovered the true abundance of blessings God had for them. Shannan is a phenomenal writer, for both the quality of her content and her mastery with words. But it wasn’t just her exquisitely chosen metaphors that impressed me: her entire life—and willingness to sacrifice everything she once held so closely—is inspirational, and an amazing example of emulating Jesus’ life and His heart for others. The Martins’ life is far from conventional, and I’m sure many Christians would frown upon their willingness to “fraternize with sinners” or question their decisions to put their kids in secular schools, abandon their retirement plan, or bring ex-convicts into their home. And yet, their life is so clearly in line with Scripture’s blueprint for Jesus-followers; in seeing their example I can’t hep but feel ashamed on behalf of myself and “good Christians” everywhere for our lackluster efforts at serving God. Shannan’s story left me feeling convicted about every aspect of my life, from how I spend my resources (time/money/emotional energy) to where I attend church. She also has me questioning whether what I think is God’s best for me is truly HIS desire for my life, or just my own. Falling Free is heavy on the preaching. Coming from another author, these words might sound hollow or pedantic, but Shannan’s life and actions lend authority to her message, as do the incontrovertible truths she brings in through direct passages from Scripture. One other potential pitfall to Shannan’s message (and her family’s lifestyle changes) is that it might be interpreted as condescending; however, Shannan clearly feels that she is the one who has been blessed by her new life—there is definitely no pretentiousness, false humility, or patronization apparent in either her stories or her message. Growing up in the church, it’s easy for me to assume that because I’m a pretty decent person, I must be living the life God has for me. Falling Free reminded me that following Jesus is so much more than leading a moral life. I think that every Christian should read this book, but be prepared to have your beliefs and possibly your world turned inside out. Pastiche’s nine principles are fleshed out with quotes, personal anecdotes, and encouraging examples from the lives of other happy people. I’ve heard most of these principles before, but loved Pasricha’s presentation. His strategies are largely based on anecdotal evidence rather than empirical studies, but I’ve read enough from other sources (and seen the benefits of these ideas when applied to my own life) to recognize their value and validity. 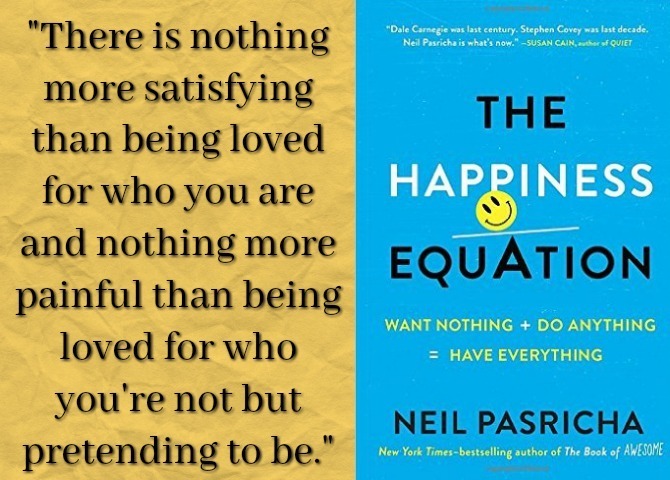 Reading The Happiness Equation might not immediately make you happier, but it can definitely help you get on the right track for success. I came away from the book with some great reminders for focusing on the small things that can make me feel calmer, happier, and focused on what’s truly important. I’m linking up with Modern Mrs. Darcy to share what we’ve been reading lately. If you’re here from the linkup, thanks so much for stopping by! 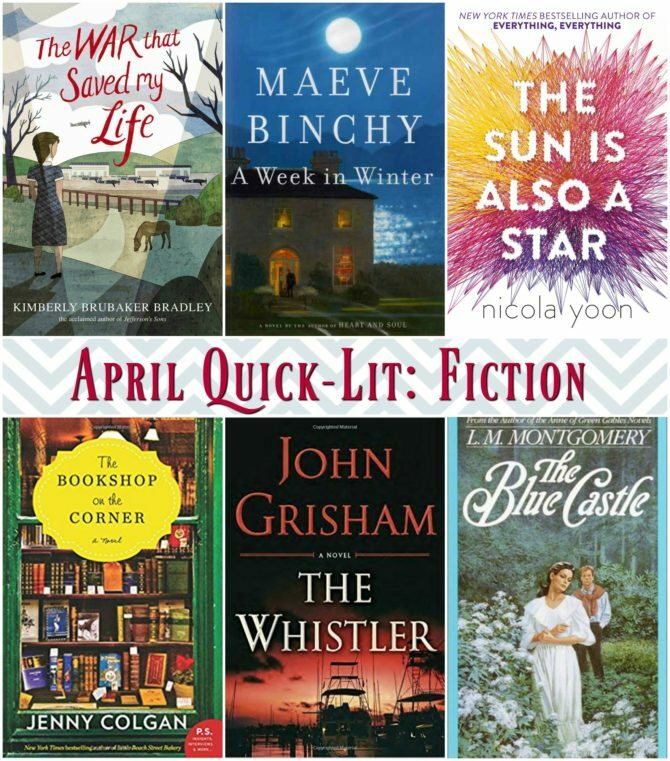 Be sure to check out last Monday’s post where I shared reviews of the six fiction books I read last month.